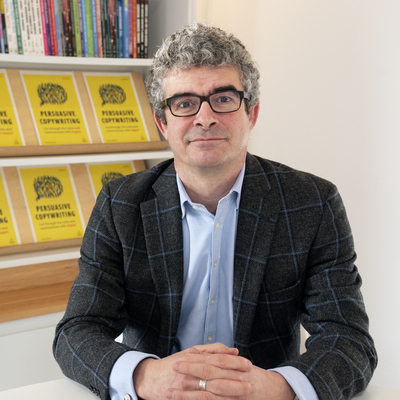 Andy Maslen is Managing Director of Sunfish, a writing agency specialising in corporate communications, direct marketing and digital content, plus CEO of the Andy Maslen Copywriting Academy. A lifetime fellow of the Institute of Direct and Digital Marketing, Maslen works globally with clients such as the NHS, The Prudential, The Economist, BBC Worldwide, Hamleys, The London Stock Exchange, the RSPB, The New York Times Company and PricewaterhouseCoopers. He is co-founder of the Copy Cabana conference and a bestselling author of numerous fiction and non-fiction books.